Beautiful, glowing skin is one of the best assets a girl can have. It can make or break your entire look. It is very essential to take care of your skin, to keep it fresh and healthy. Face masks are a great way to feed your skin healthy antioxidants. I love creating my own homemade masks at home since it's inexpensive and the natural ingredients are gentle on my skin. Strawberries are in season from late spring to early summer and if you live in Pune, they're readily available at your local stores and farmer markets right now. They make the perfect snack alone or in salads but they are also a great ingredient to use in face masks, since they're packed with vitamin C. They are also rich in alpha-hydroxy acids which help exfoliate the skin. 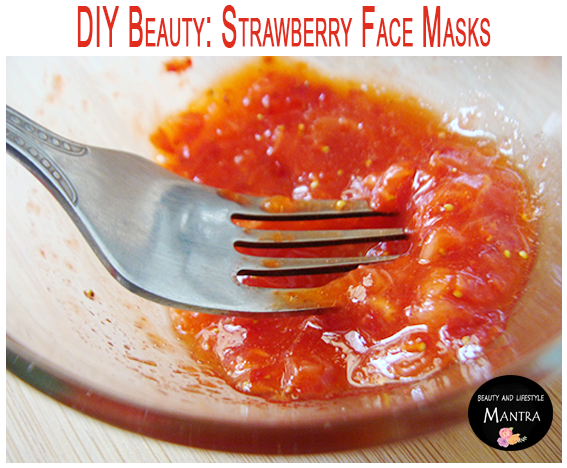 So fresh strawberry masks are great for people with dull, damaged or acne-prone skin. 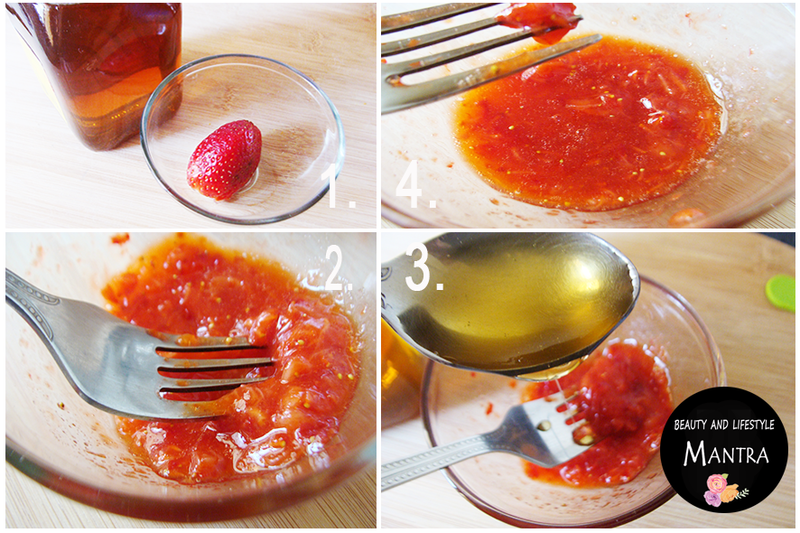 Before trying any homemade mask on your face, you should spot test it on your neck or hand to see if your skin reacts. If you're clear, wash your face with your favourite cleanser before applying the mask mix on your face. 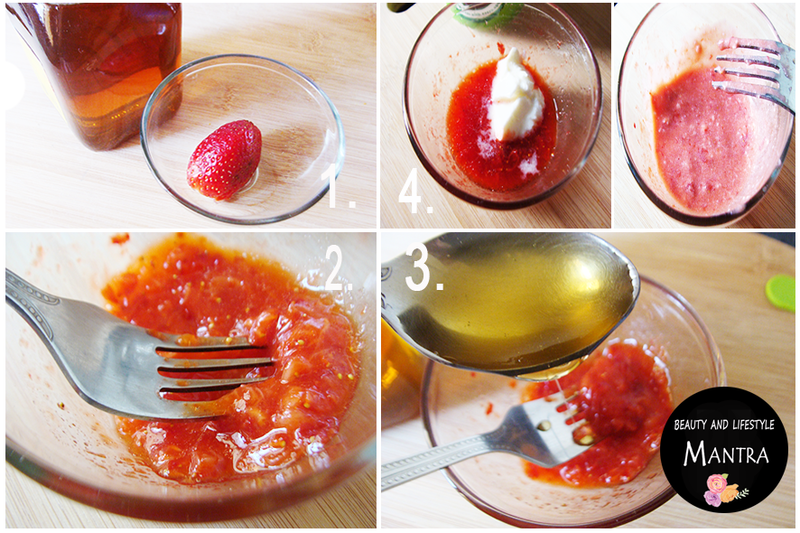 Here are three strawberry masks that can help cleanse, exfoliate and brighten your skin! In a bowl, mash the strawberries with a fork until smooth. Add in the honey and mix the ingredients together. Using clean hands, gently apply the mixture all over your face, avoiding the eye area. Lie down and leave the mask on for 15 to 20 minutes. Wash it away with warm water, pat your face dry and follow up with your favourite toner and moisturizer. Few drops of fresh lemon juice - About 8 drops if you have dry skin and up to 1 tablespoon for oily skin. In a bowl, mash the strawberries with a fork until smooth. Add the honey and Curd (for oily complexions) or cream (for dry skin) and mix until the ingredients are well-incorporated. 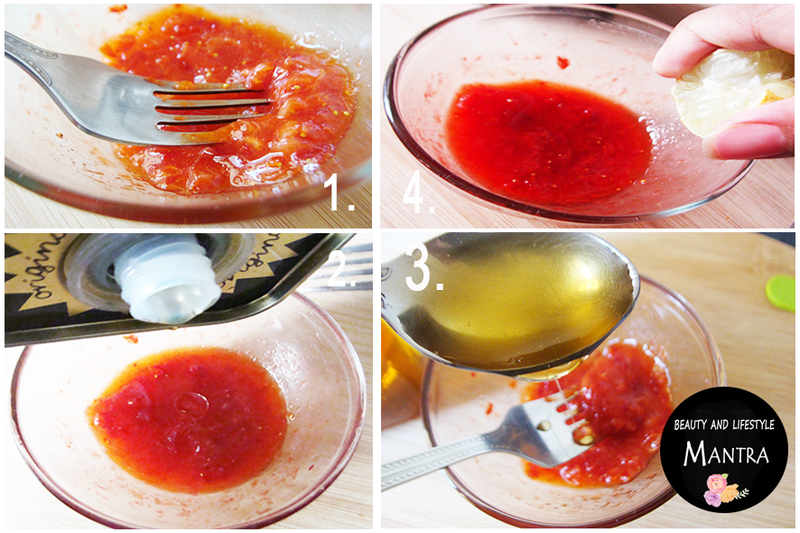 Gently apply the mixture all over your face, avoiding the eye area. Leave the mask on for 10 to 15 minutes. Wash it away with warm water and follow up with your favorite moisturizer. Tip: You can store extra mask mix in an air-tight container in the refrigerator for up to one week.